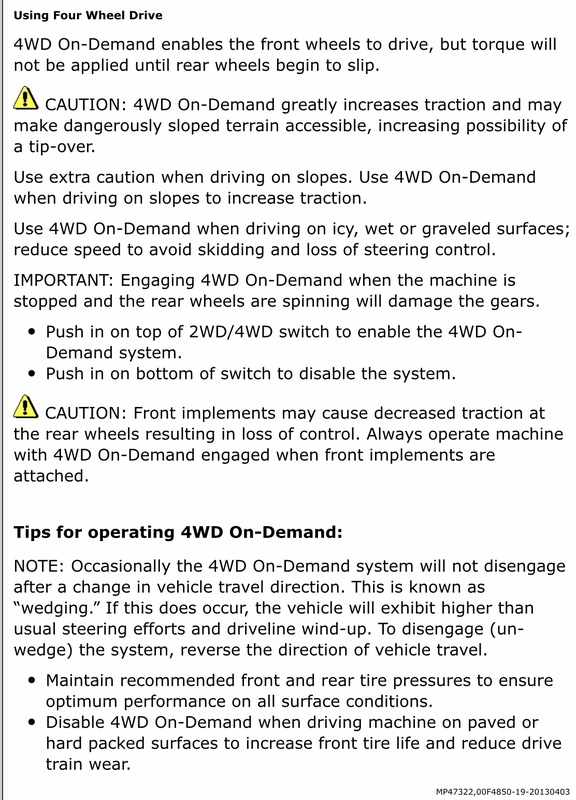 John Deere Gator Forums > John Deere Gator General Discussion > Gator General Discussion > 2013 825i HELP 4wd stuck on. 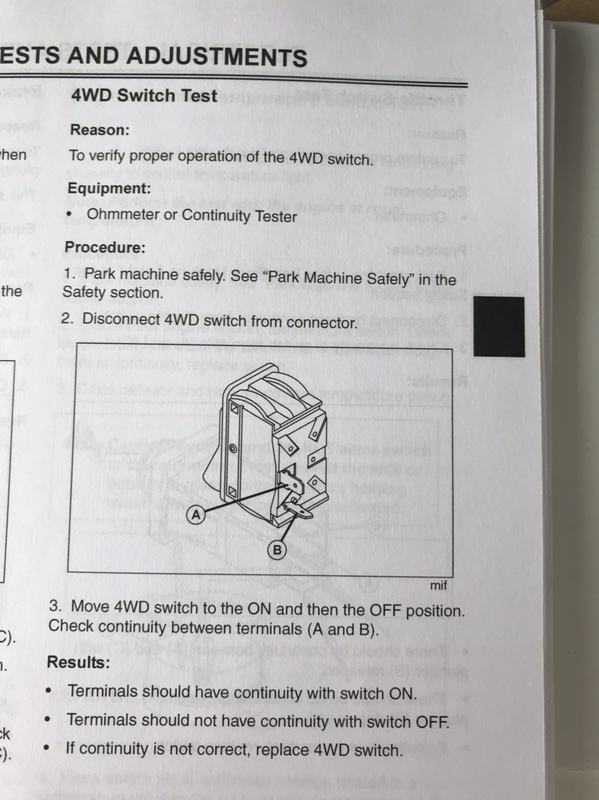 Here is some information on the Theory of Operation and testing for the 4WD switch and solenoid. Additionally, as you may know there is common condition with Gators that is referred to as “wedging “ see screenshot below. Below you will find a screenshot from the above Manual that discusses Wedging. 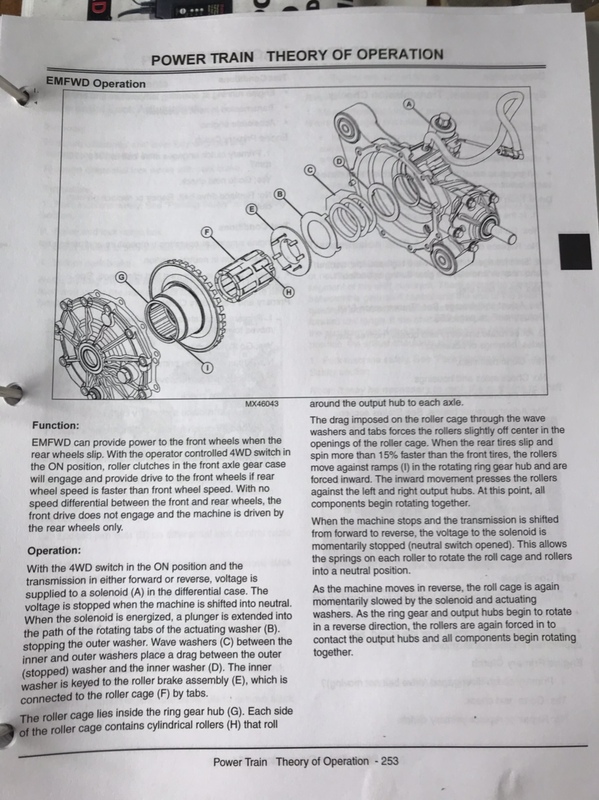 Finally below is a link to a OEM Technical Manual for the 825i. These Manuals are invaluable to any Gator Owners. 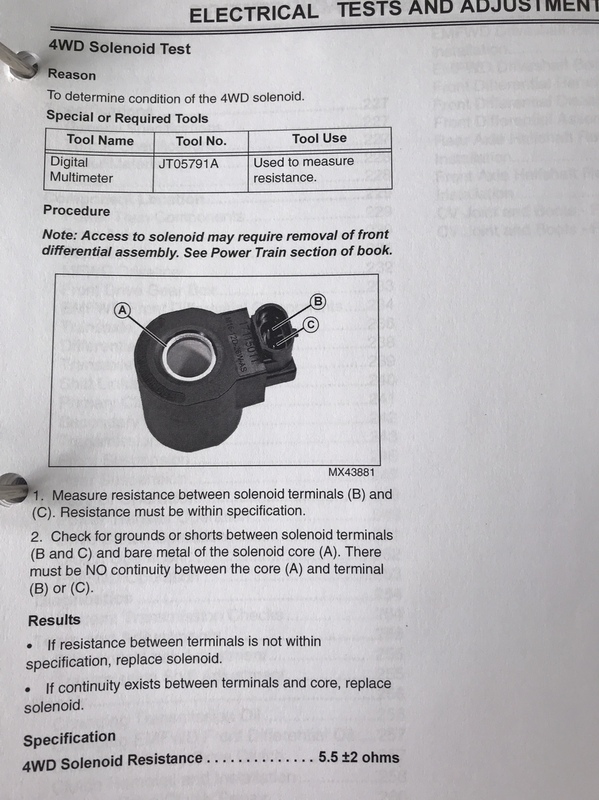 If you have completed all testing without finding the problem , there maybe an issue with the “roller cage” in the front differential. These cages are made of plastic and are known to crack. Please report back with your findings and good luck! Last edited by Bradhill; 04-11-2019 at 08:25 AM. I am having a similar issue with my 2011 855D. I was going up a grassy slope and wheels starting spinning and I pushed the 4WD button while moving. It seemed to work then starting clunking and slipping. I punched the button off and when I got to top of hill everything seems to work fine. What did I do wrong? Is the 4WD system operational now?